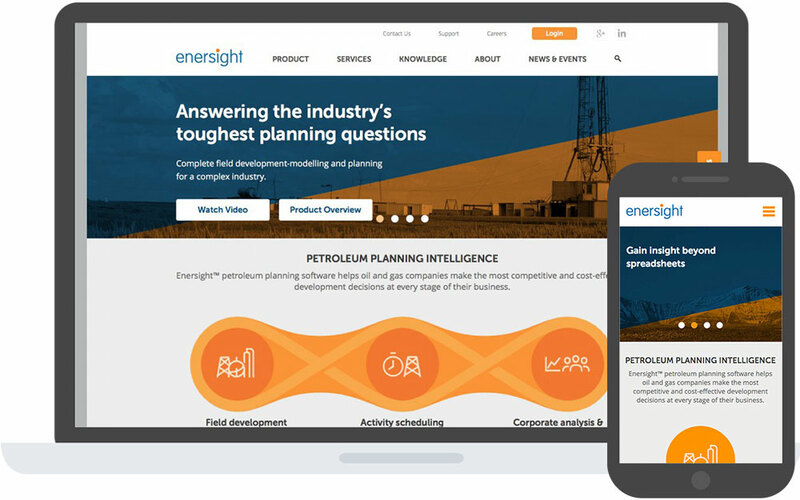 Enersight was looking for a more sophisticated, contemporary way of portraying themselves online. 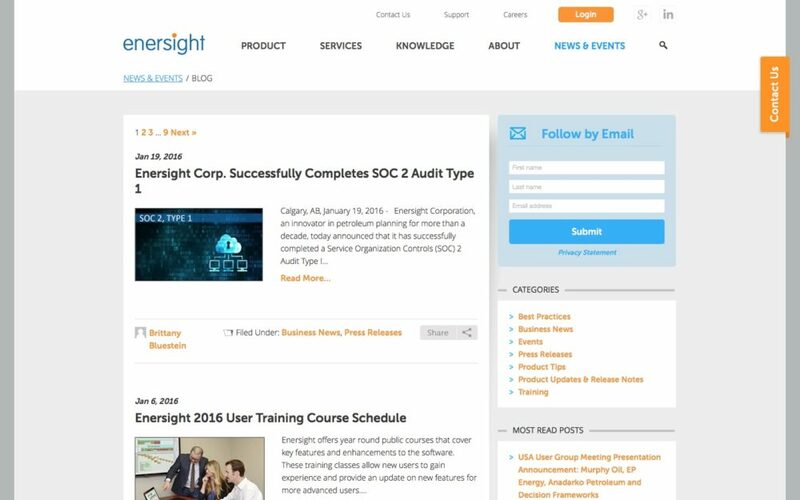 Their functional requirements were straightforward, but they had a lot of content that needed to be shared, in a highly effective way. 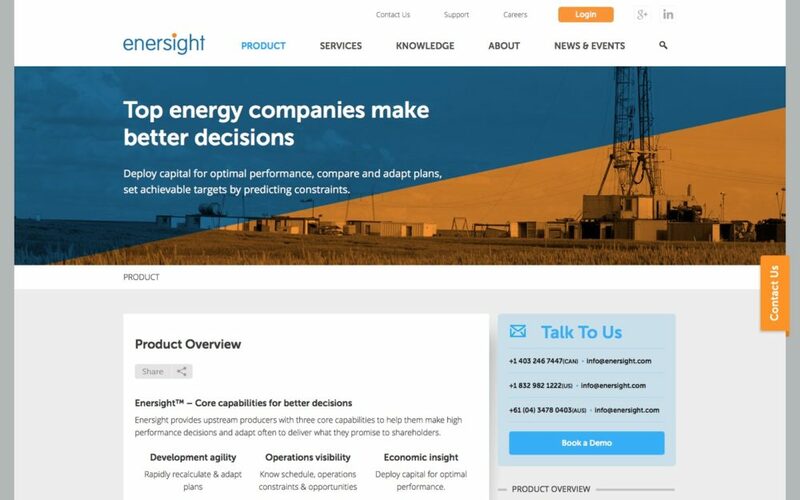 We worked with our partners at Material Insight, we created a fresh design, with key visual elements to help quickly and effectively communicate their complicated software offerings for the Oil and Gas industry. A vast improvement in professionalism, the new site has been exceptionally well received. Its standout graphics and simple, clean design has received very positive feedback from visitors and client stakeholders alike.